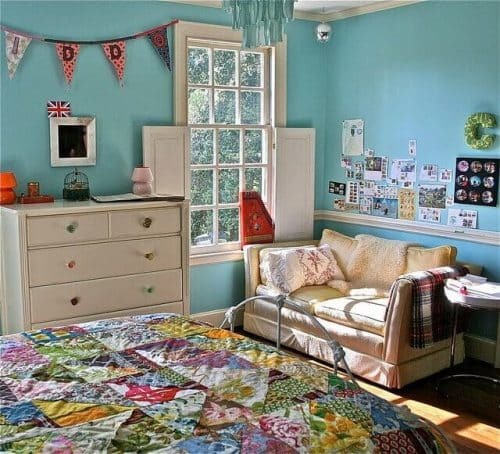 Decorating a kid’s bedroom is not as difficult as it may seem. With a few easy steps one can make a big difference in the way the room looks. Before you start decorating, ask your kids to clean up the room and place all the things in its shelves. By placing all the things in the kids storage cube shelves, you get an idea of the space you have got to play with the décor. An easy way to give a room an identity and uniqueness is by sticking wall decals. There are so many different designs that your kids can choose from. You can also give them an option of wall decals letters. They can have their name or their favorite football teams letters on the wall. This helps in personalizing their room to their unique taste. Make sure to get your clients involved in your effort to decorate their room. It can be an easy task of spray painting the lamp shade in a different color or asking them to frame their self made art work on the wall. You can also get them unfinished treasure chest kit to get them decorate it themselves and ask them to store their toys in it. This will not only make your children feel important but also will be responsible for the look of their room. You can add a theme to the room to make it fun and exciting. It can be in the form of action figures, dolls, comforter sets, rugs or throw pillows. These things are easily be replaceable or disposable when your kids grow out of it. Ultimately, it is important to give a patient ear to what your kids have to say and to implement their ideas while decorating their room.